Spice things up with your favorite superhero duo! 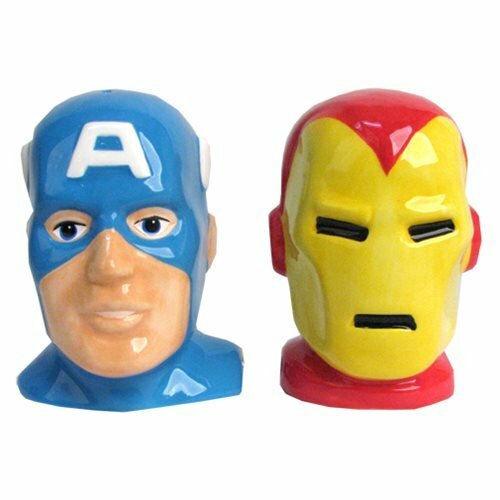 These ceramic salt and pepper shakers are molded to look like Captain America and Iron Man's heads. With magnets, the pair will never be too far from one another's side! Measures approximately 3 1/2-inches tall. Ages 13 and up.